The success of the Prominend concept is determined by the combination of the product and right application. See below the applications for the Prominend liquid products. The milk is very simple to prepare knowing that the Prominend Elite and Activator always will be diluted by a factor : 1/3 Prominend to 2/3 water for 10 liter milk. 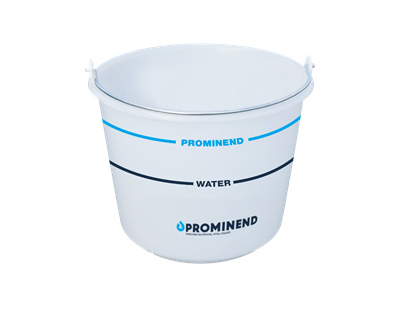 Measuring the amount of water and milk with the Prominend bucket reduces the risk of procedural errors. 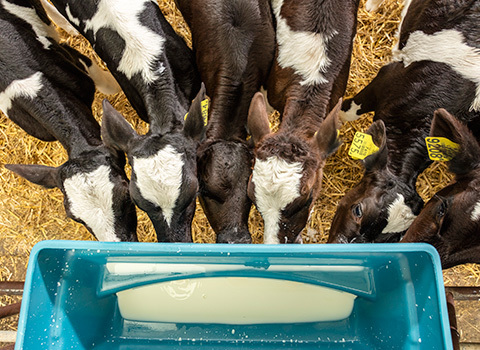 Just fill the bucket with water up to the water line and add the milk up to the Prominend line. Suitable to feed one calf at the time. Available in 8 liter. 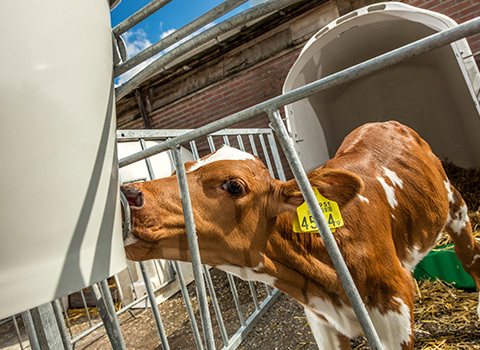 Suitable to feed several calves at the same time. Available in 25 liter and 60 liter. 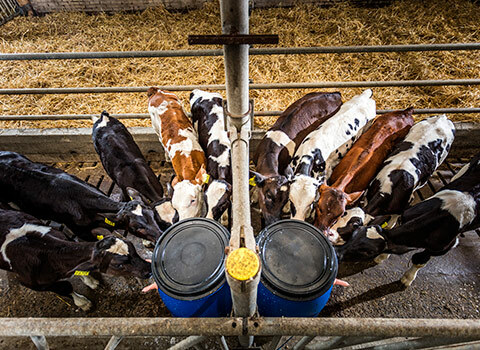 Suitable to feed several calves at the same time. Available in 120 liter. For the enlarging farms it is advisable to make use of the Prominend Big Box as it is more cost efficient. 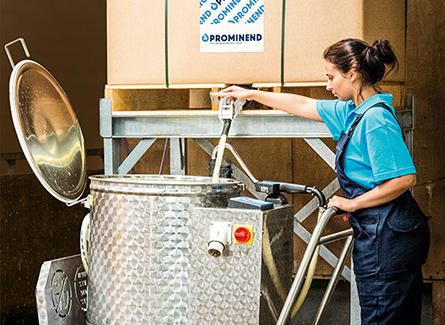 The Prominend Big Box can be located centrally and be used for automatic feeding systems or manually.